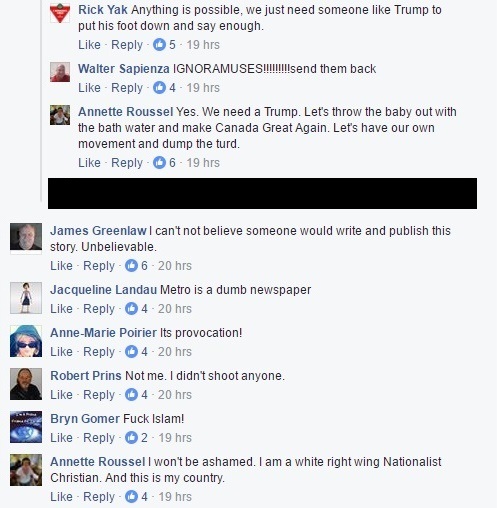 We spent much of the day compiling reports about the protests that took place in a number of cities across the country. 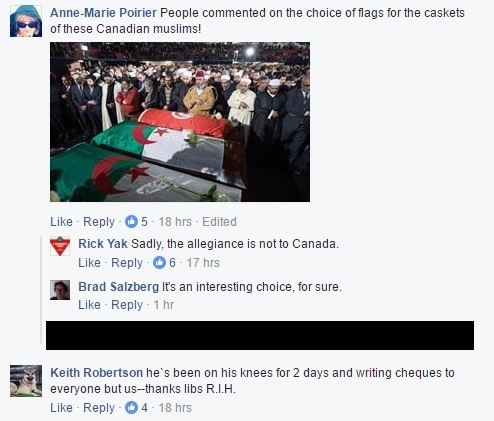 In the vast majority of the cases, anti-Muslim protesters were outnumbered considerably by counter protesters who favored M-103. 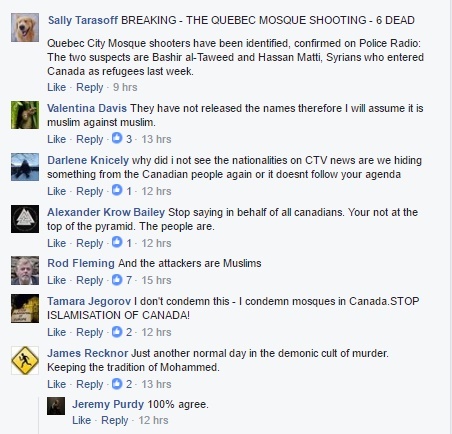 In some cases the anti-Muslim protesters decided to leave when they noticed the space had been taken earlier by the counter protesters. 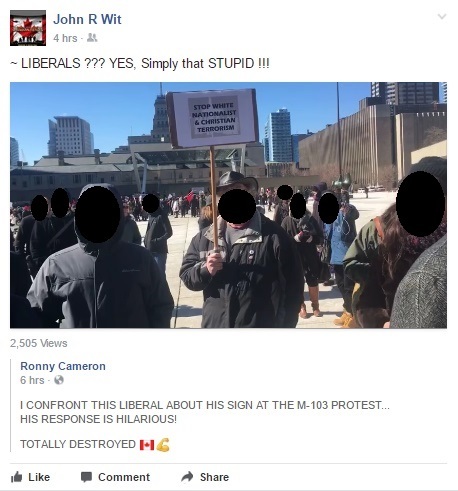 To be fair though, at least he was honest about exactly what the protests were truly about. 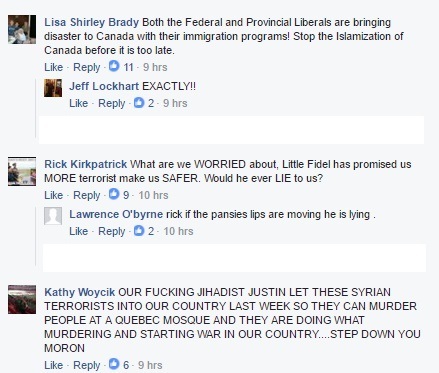 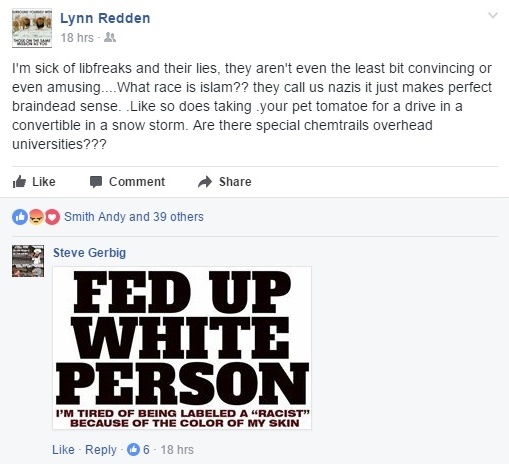 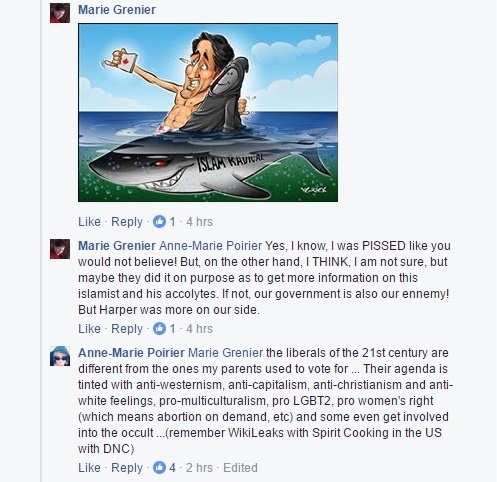 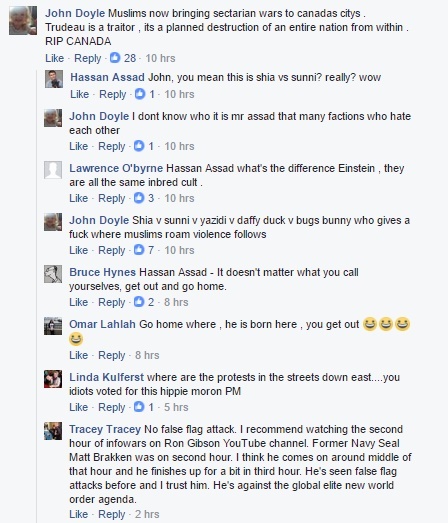 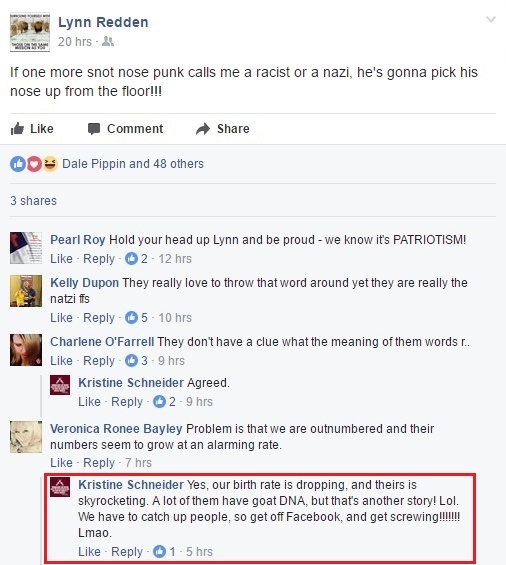 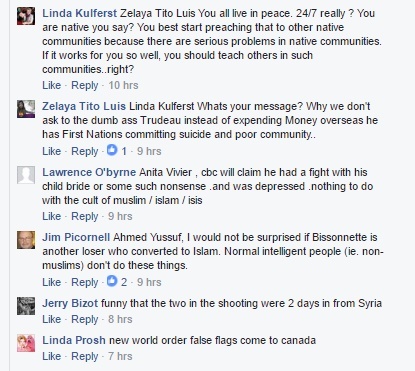 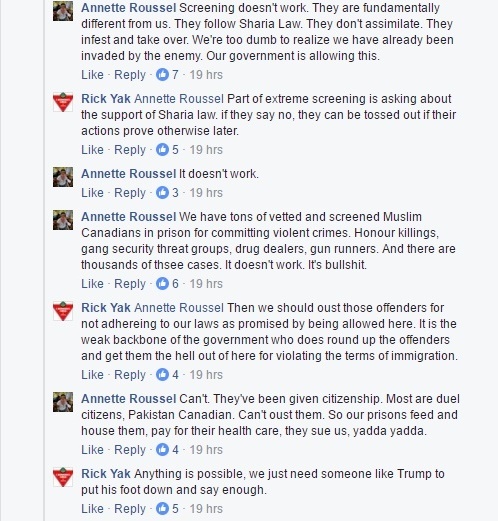 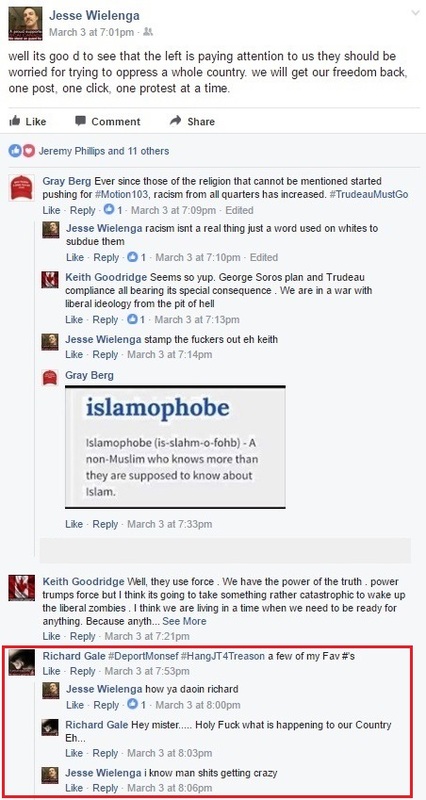 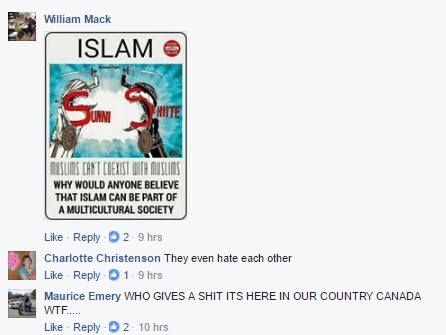 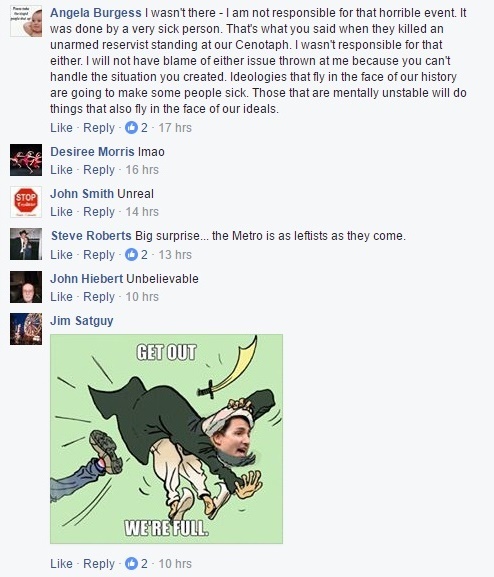 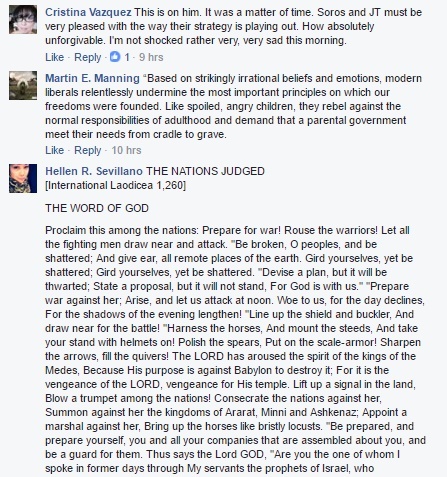 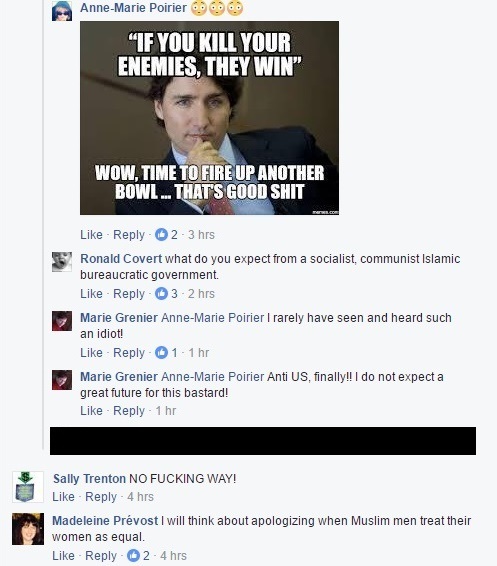 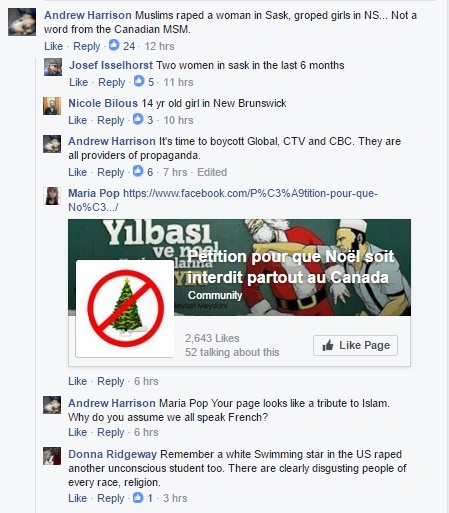 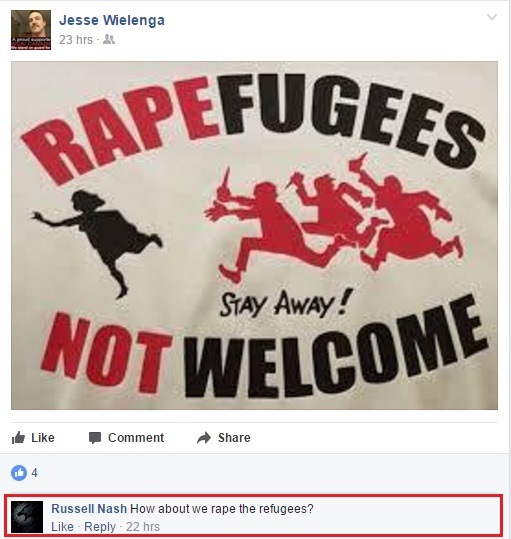 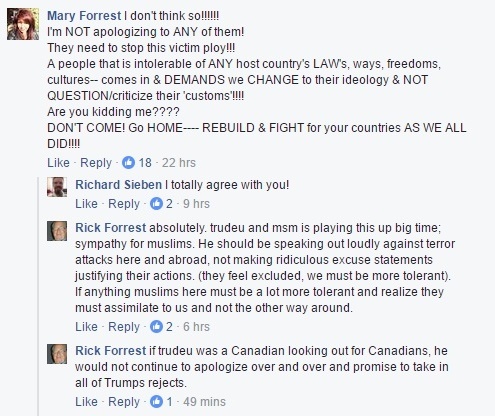 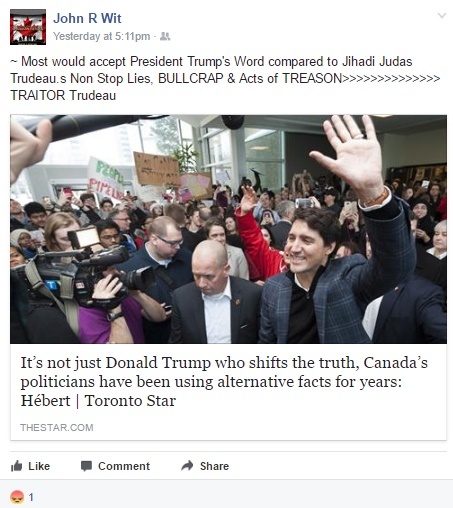 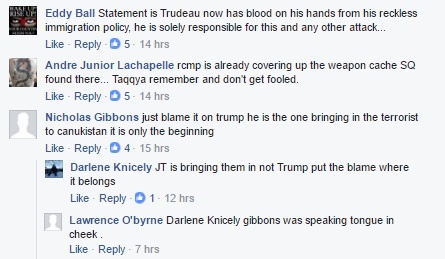 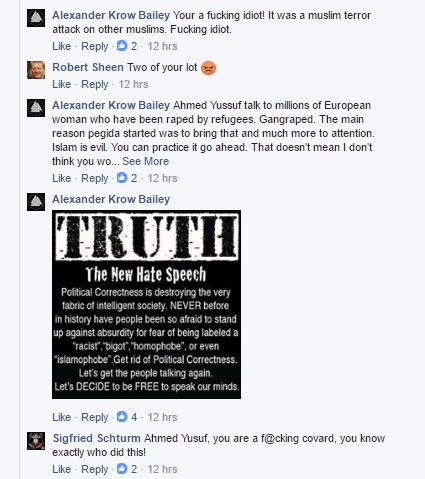 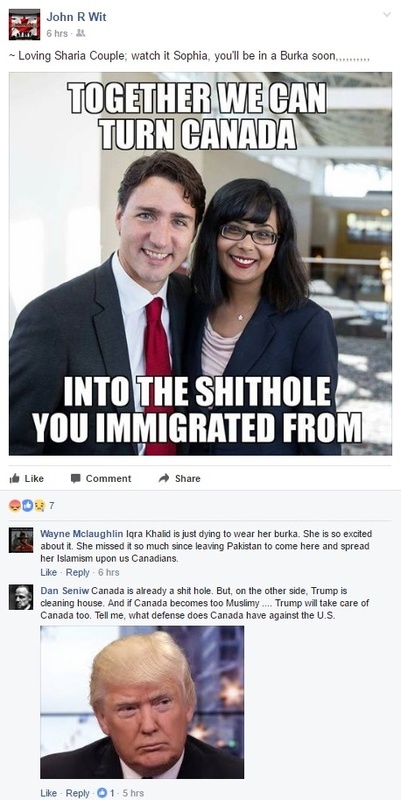 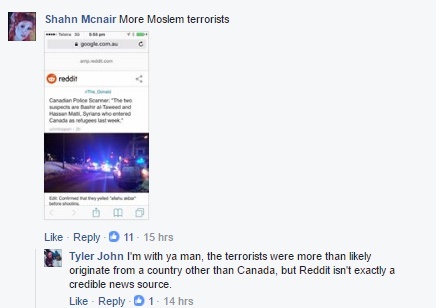 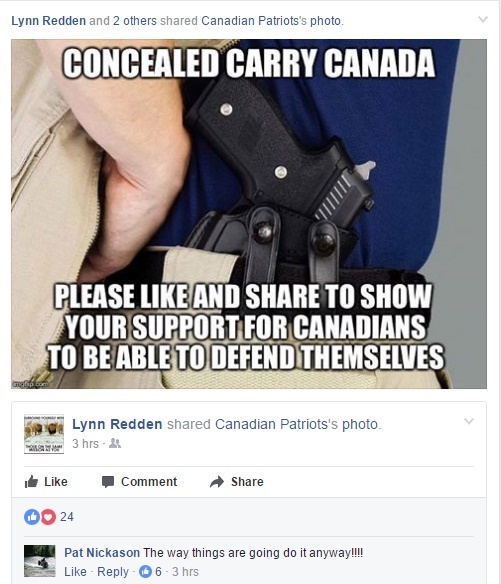 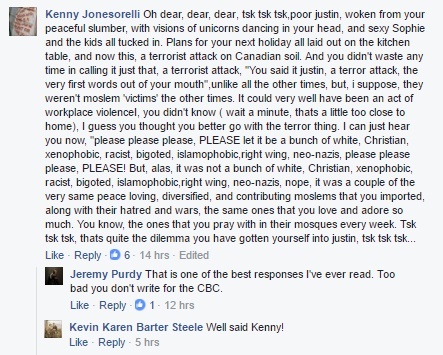 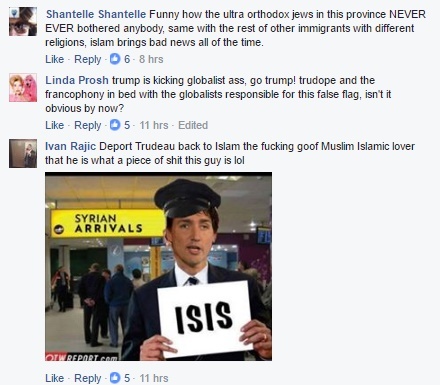 There were more posts like these on PEGIDA Canada, Canadians United 4 Canada, Canadians Against Justin Trudeau, III% Canada, and all the others, all equally enlightening. 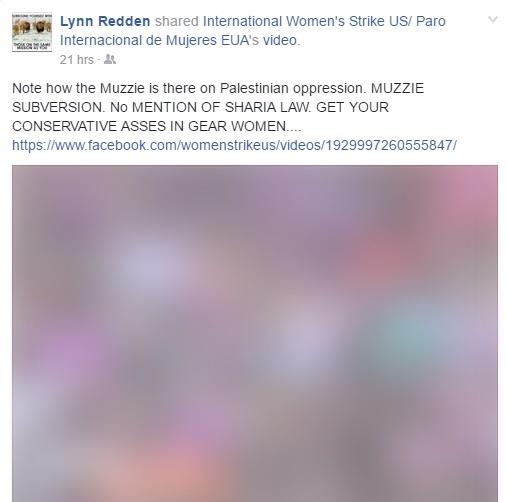 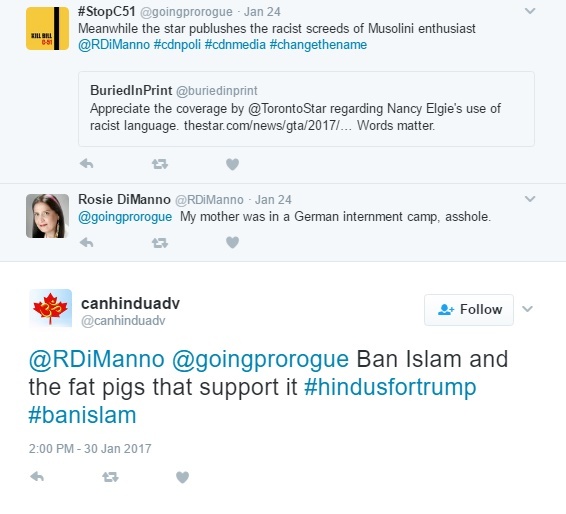 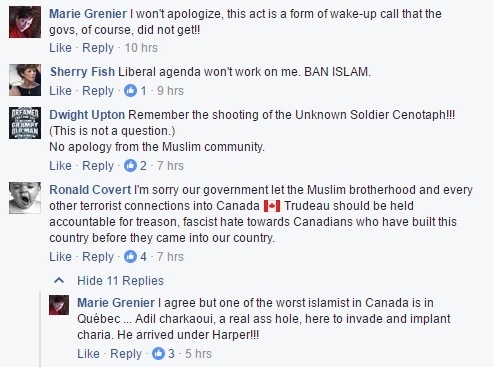 Since criticism of M103 from the Conservative Party was based on what they claimed to be the obscure and vague notion of what Islamophobia actually means, I decided to focus on a few of the personalities who attended one of the anti-Muslim events or who were heavily involved in promoting it. 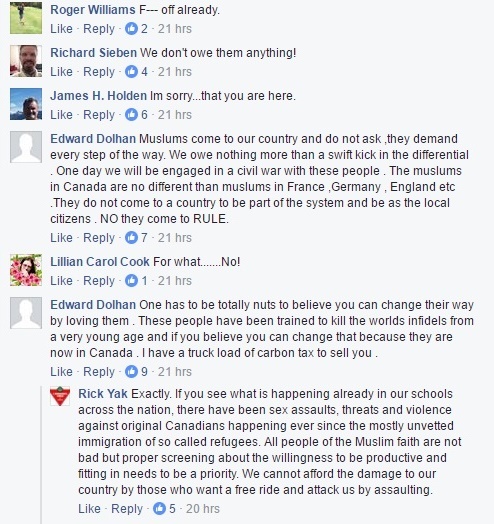 Dale from Saskatchewan promoted the event on his page and provides insight into his views about democracy and freedom. 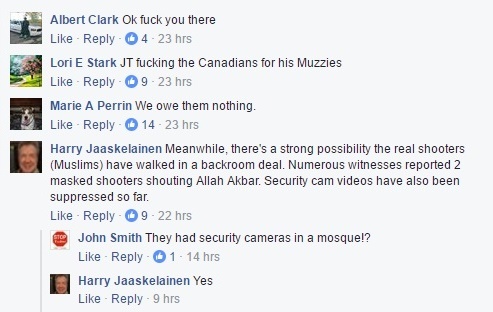 The counter protesters were exercising their rights to oppose the anti-Muslim protesters and did so in a non-violent manner. 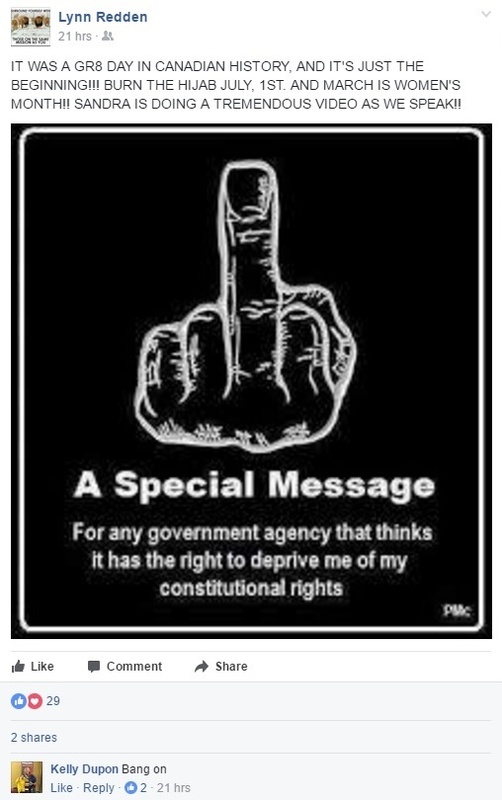 But as is the case of most of the folks we look at here, freedom really only applies to themselves. 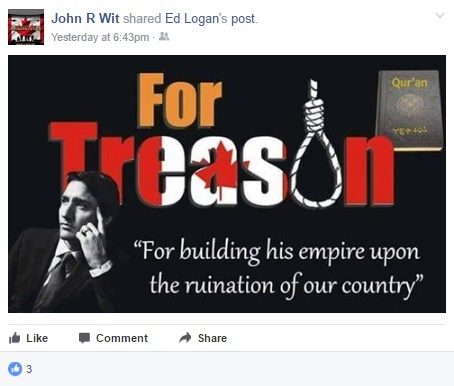 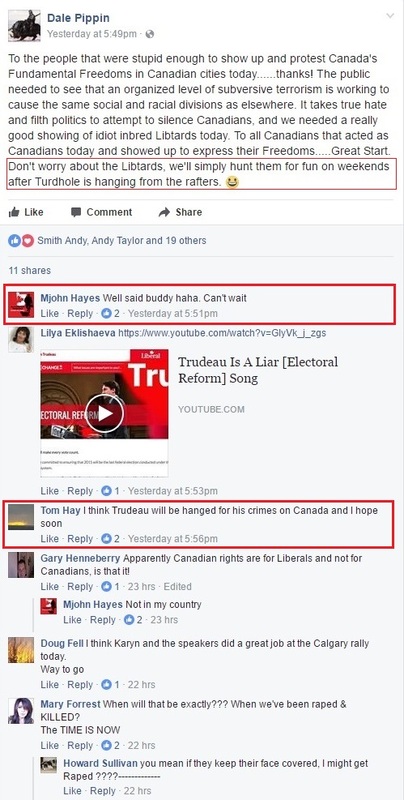 Our readers will also know as the brother of a man who was, not too long ago, convicted and sentenced for uttering threats towards Prime Minister Trudeau. 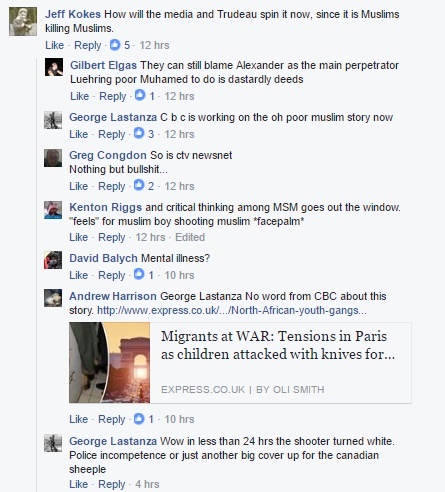 Which brings us to another person with links to the Toronto anti-Muslim protest, Arran Taylor. 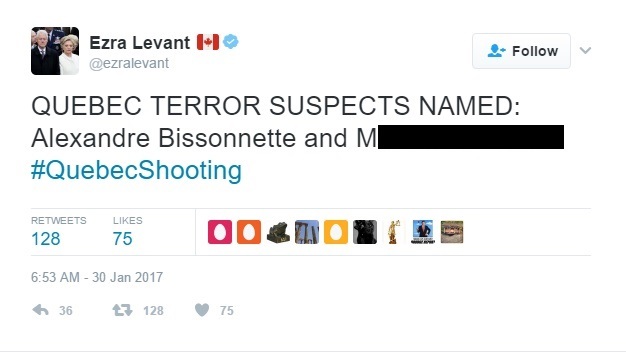 So is this the kind of guy who should be armed? 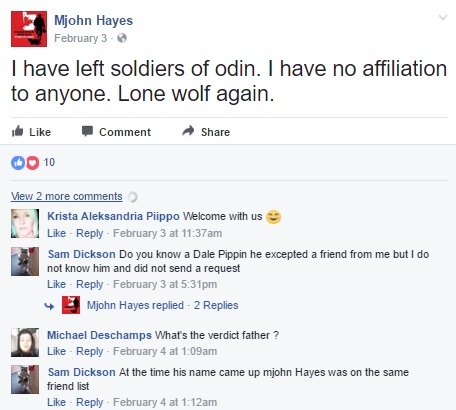 Dude, you're not a viking. 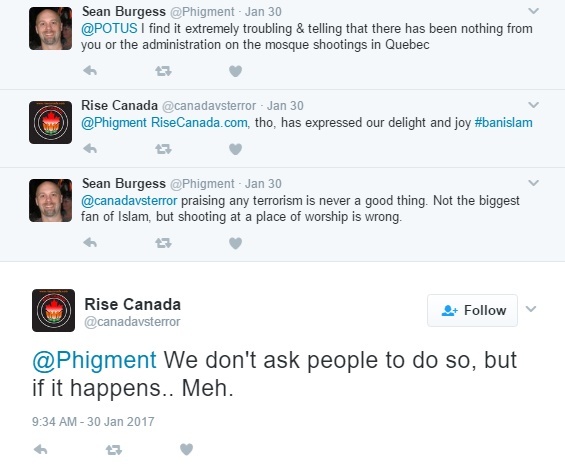 You're an unemployed fat man who couldn't be bothered to attend a protest himself but has somehow found enough "courage" to make ultimately empty threats online. 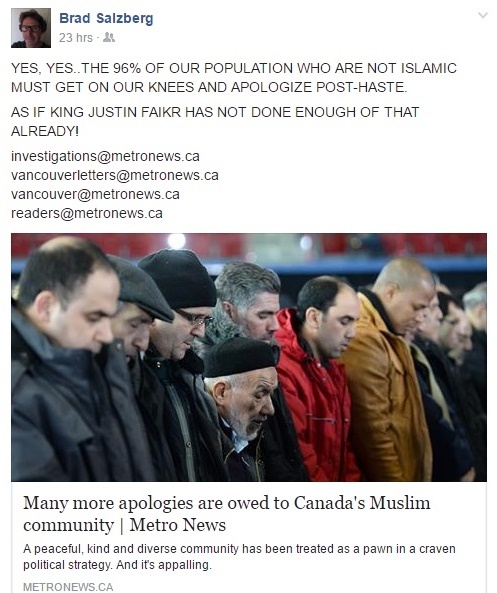 We finish our look at some of the figures involved in the anti-Muslim protests held last weekend, directly and indirectly, with Wendy Latour of Halifax. 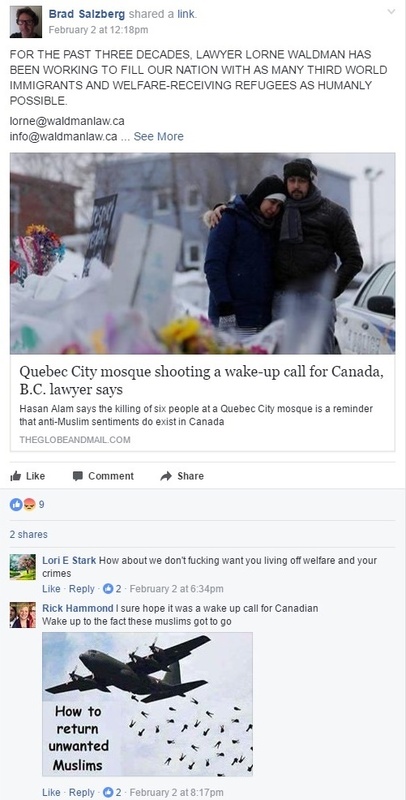 She wasn't happy with the attendance of anti-Muslim protesters in that city either. 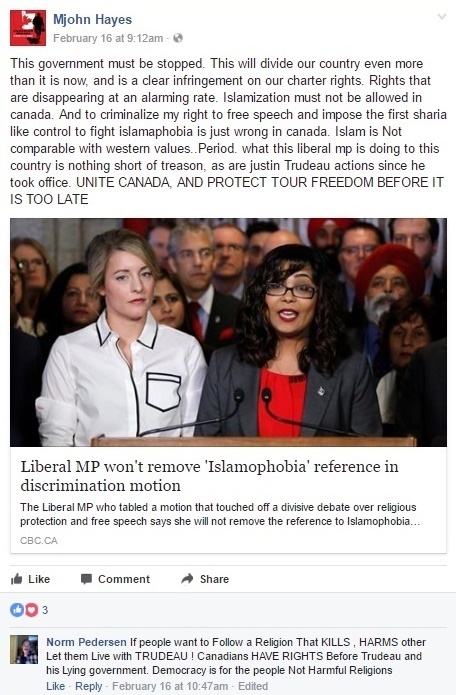 That of course didn't lessen the passions of those who agree with her position, including those who urge for the killing of Muslims as well as the assassination of Prime Minister Trudeau. 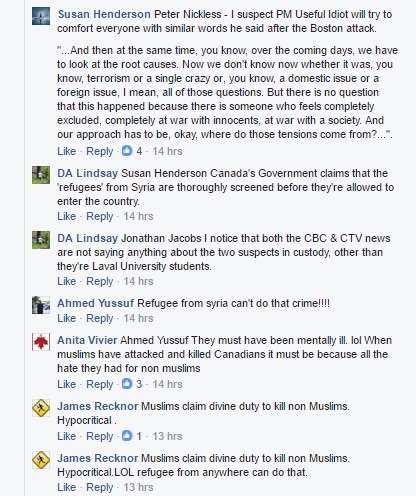 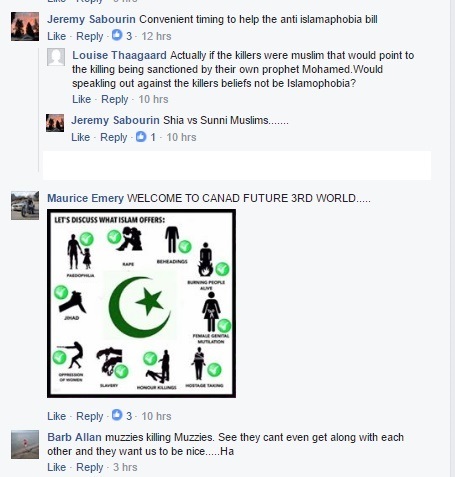 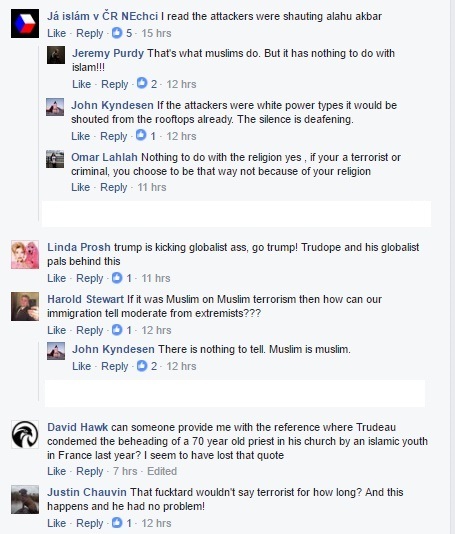 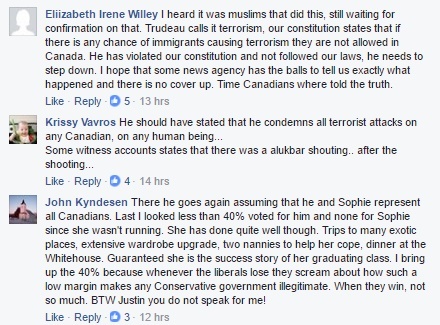 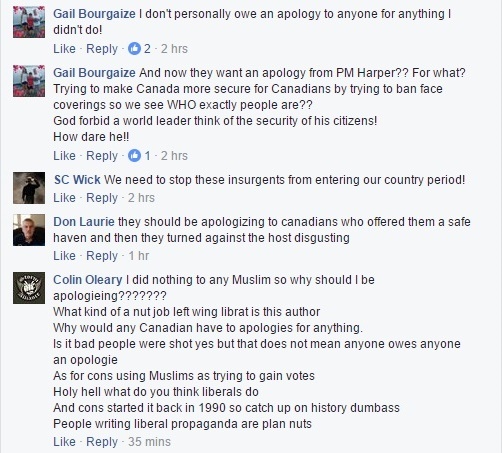 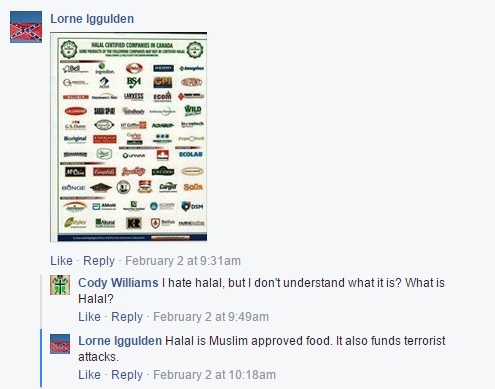 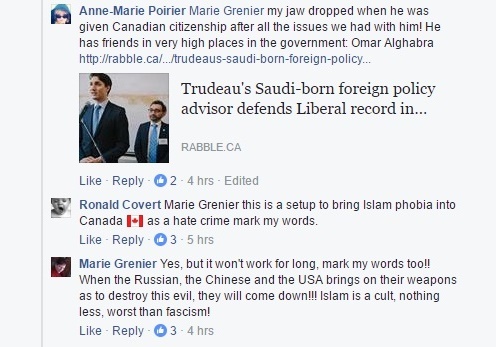 If the Conservative Party members who plan to vote against M-103 are unsure what the definition of Islamophobia might be, I humbly offer the posts on this page as clear examples. 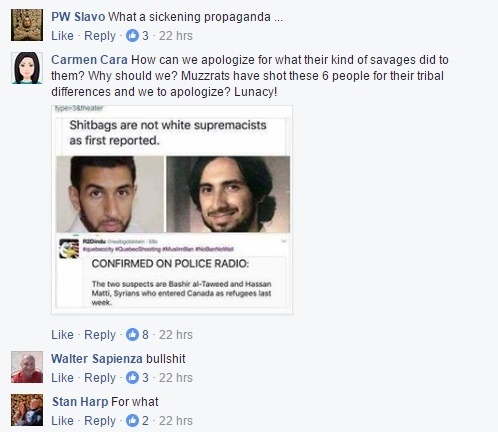 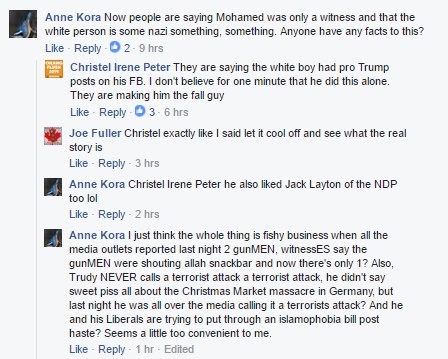 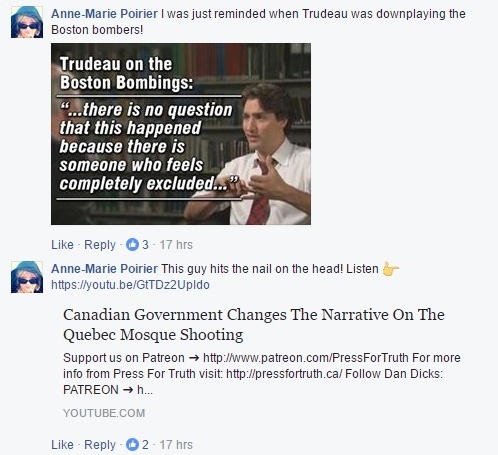 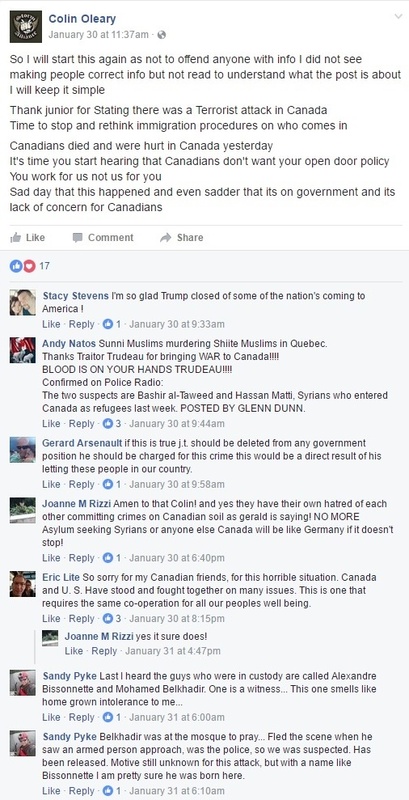 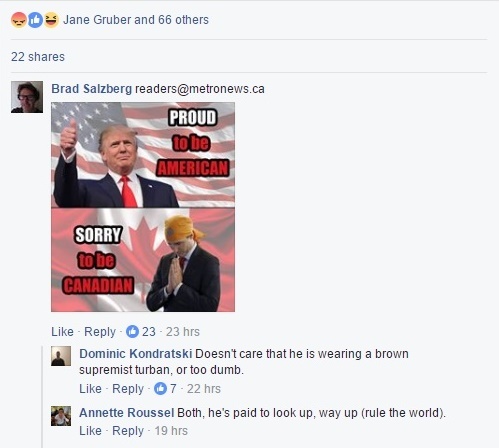 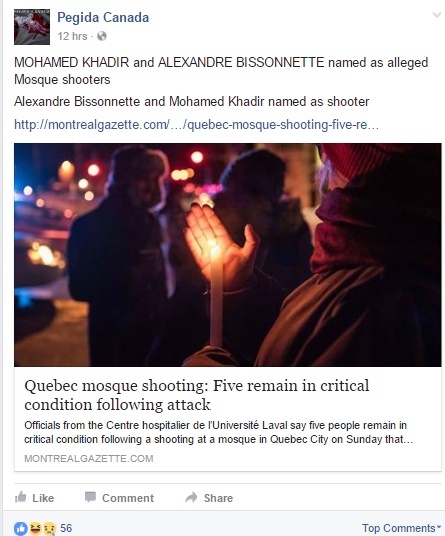 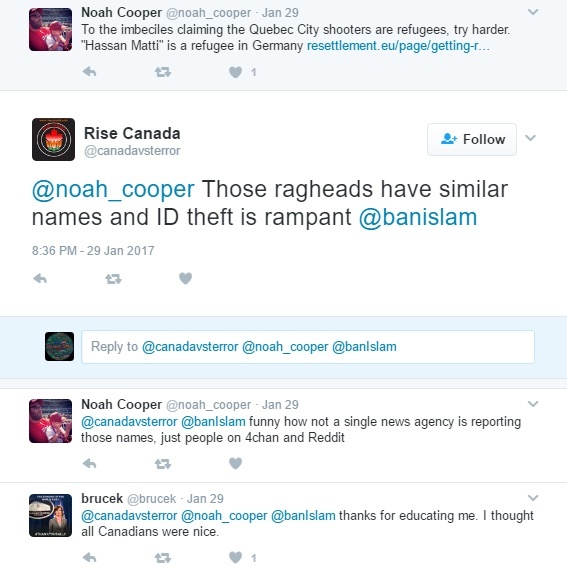 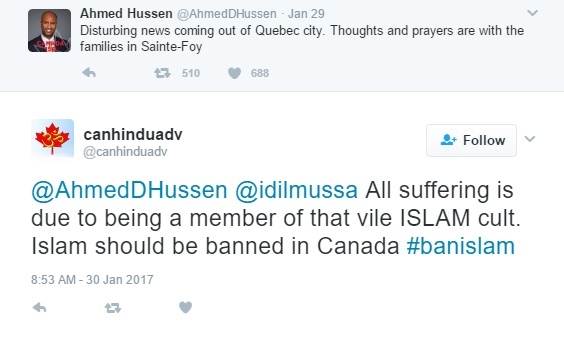 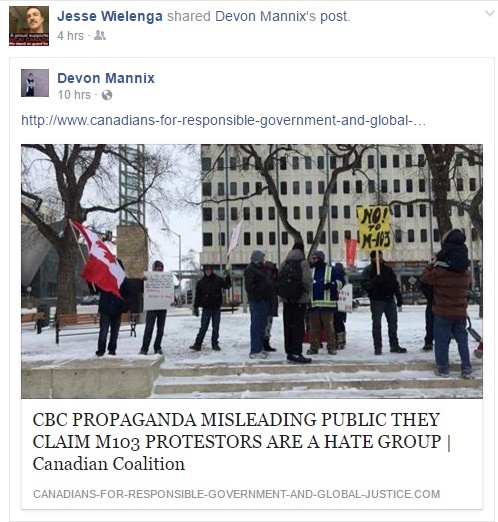 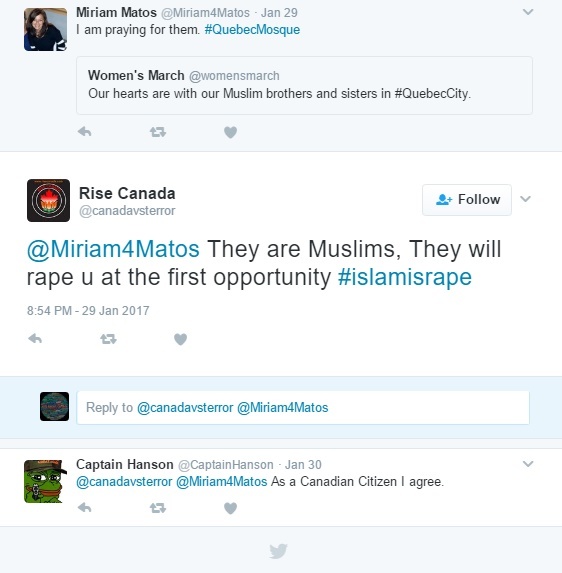 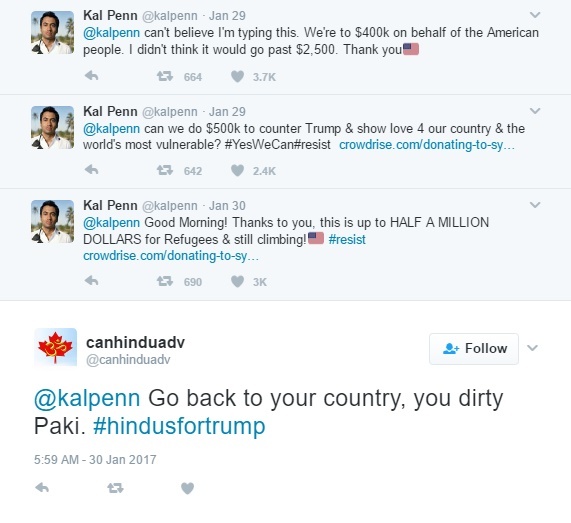 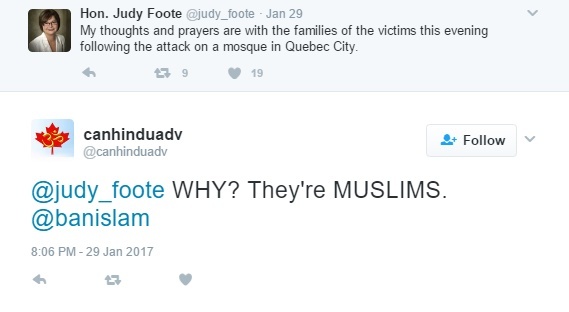 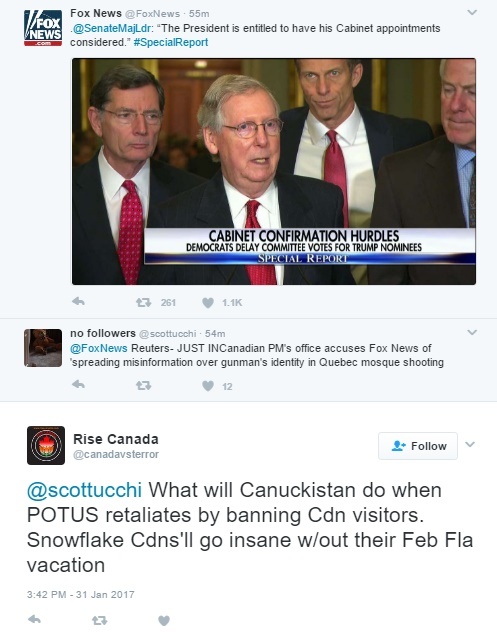 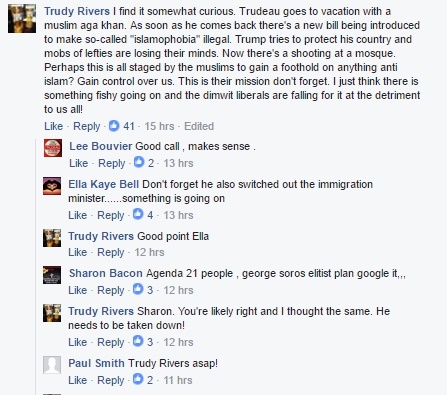 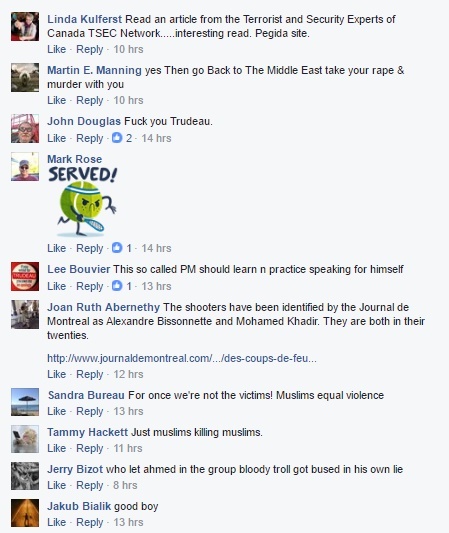 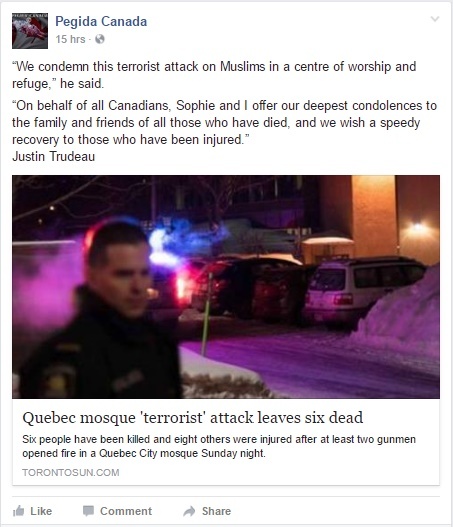 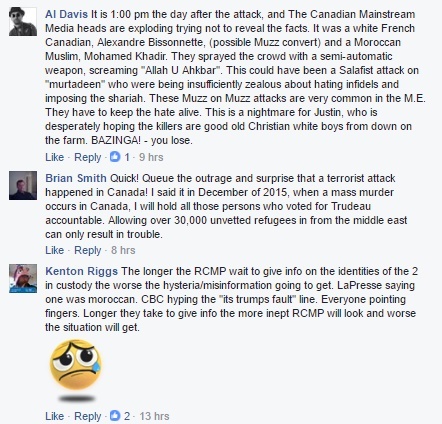 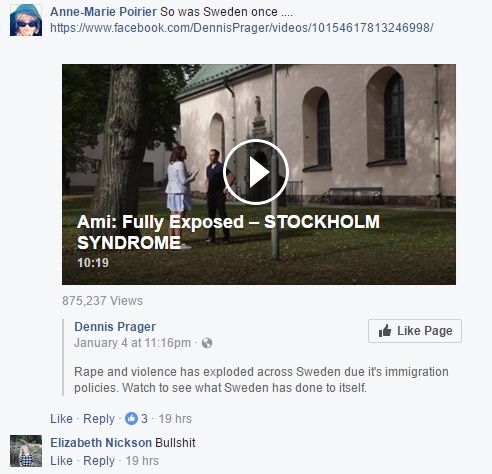 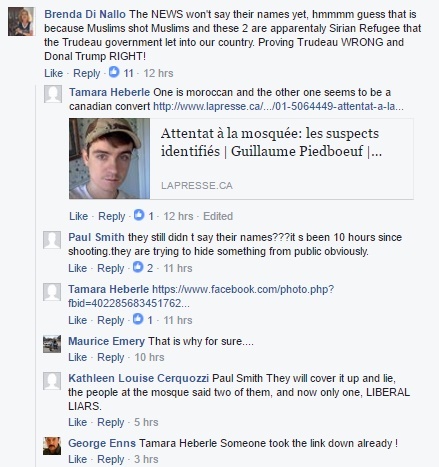 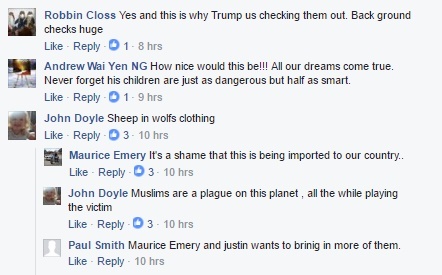 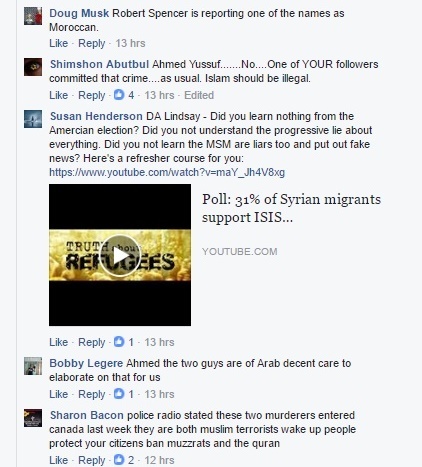 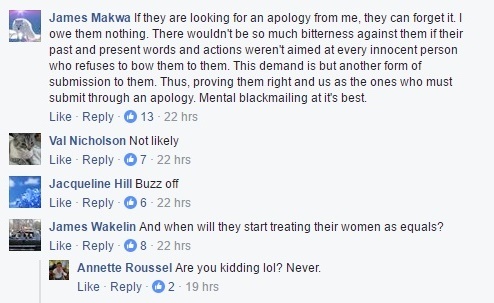 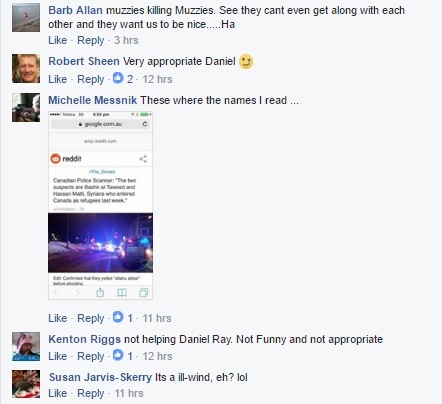 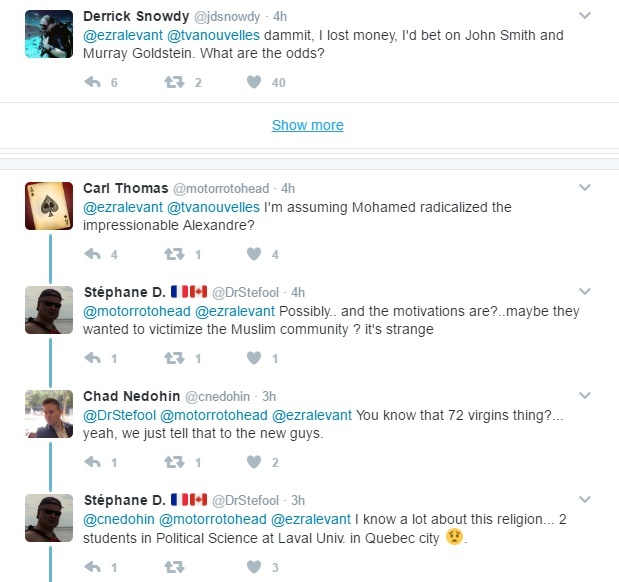 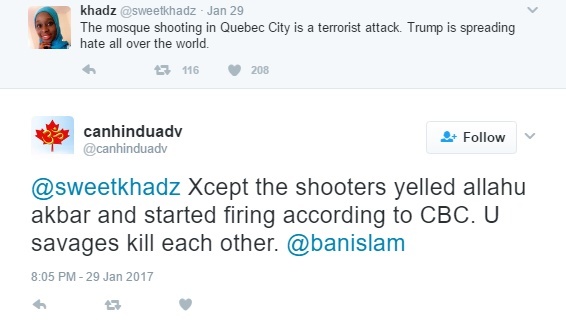 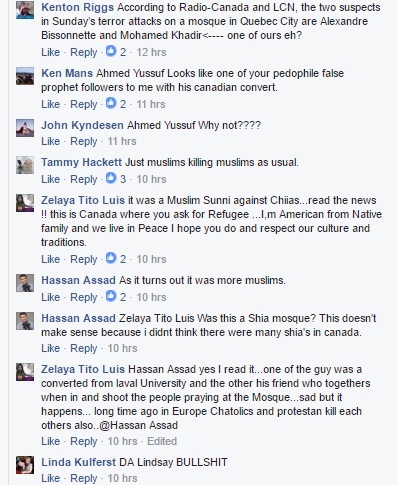 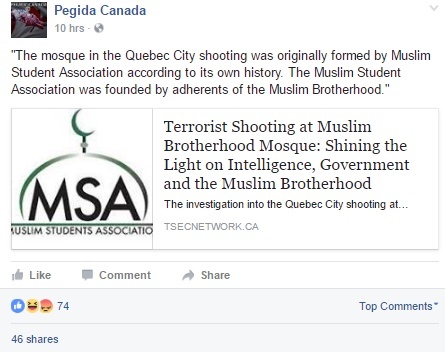 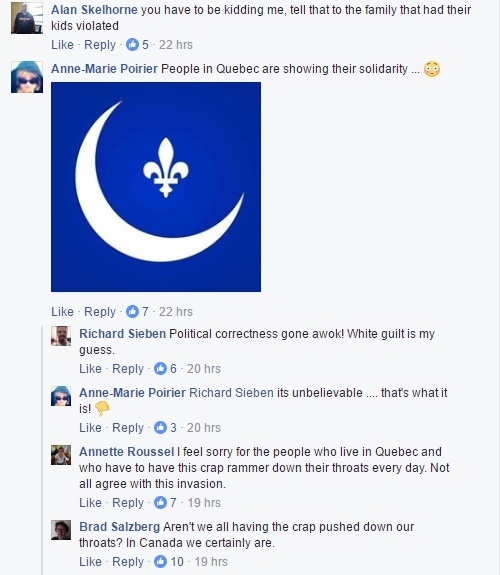 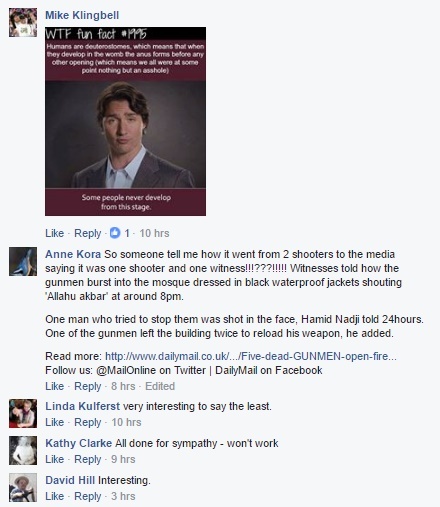 However, if that isn't enough, perhaps these found on PEGIDA Canada, III% Canada, Storm Alliance, Ron Banerjee, Stormfront, Lauren Southern and much of Rebel Media, and Brad Salzberg (head of the Cultural Action Party) in the wake of the murder of six men in Quebec by a supporter of Donald Trump and hater of Muslims will do the trick? 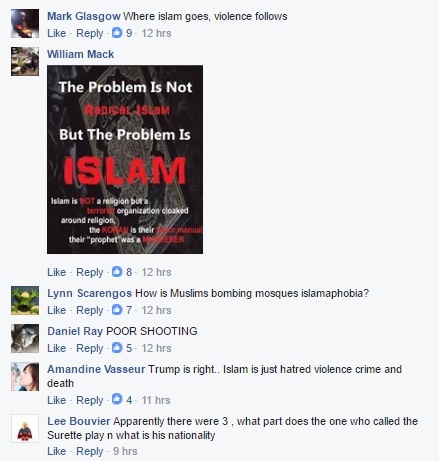 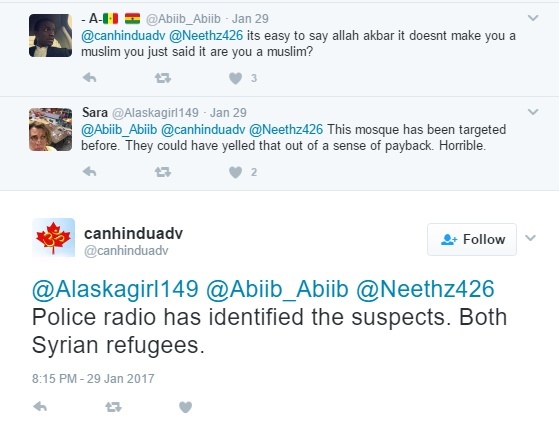 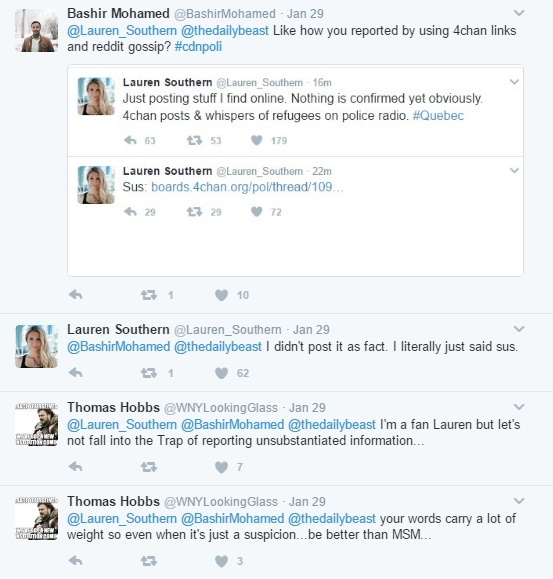 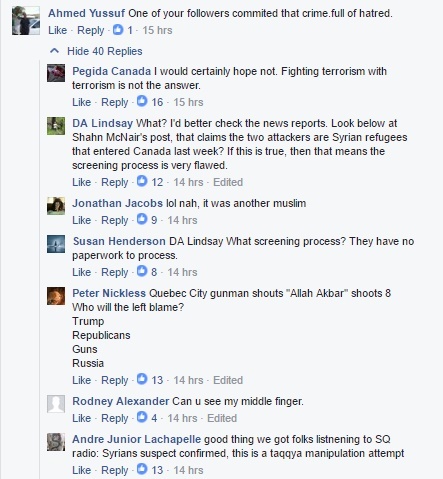 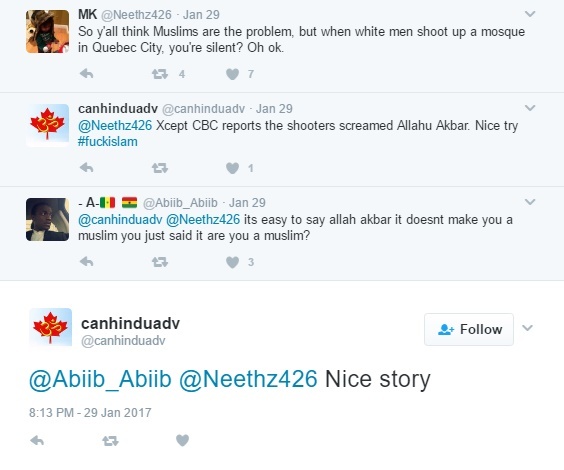 These folks either deny the attack took place (false flag), claim it was carried out by Muslims despite all the apparent evidence, or celebrate the murders and desire more. 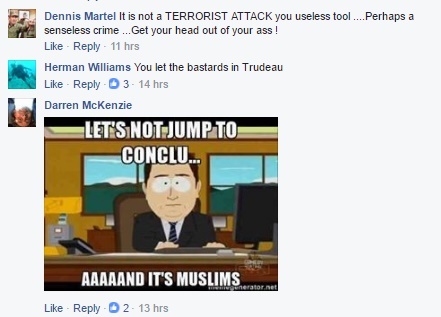 So, What Was in the News Today?